Join us in Hood River over the Memorial Day weekend to kick off the 2018 Steelhead Coaching Triathlon Season. Get excellent swim coaching at the beautiful Hood River Aquatics Center, ride the hillsides around Mt. Hood and get lost in your thoughts running the Mosier Tunnels Trail. If you're excited to kick off your 2018 Triathlon Season, this is the perfect camp to get your fitness going. The camp is a 4 day, 3 night excursion with all the bells and whistles. Beautiful lodging, great food and expert coaching are included in the cost of the camp! 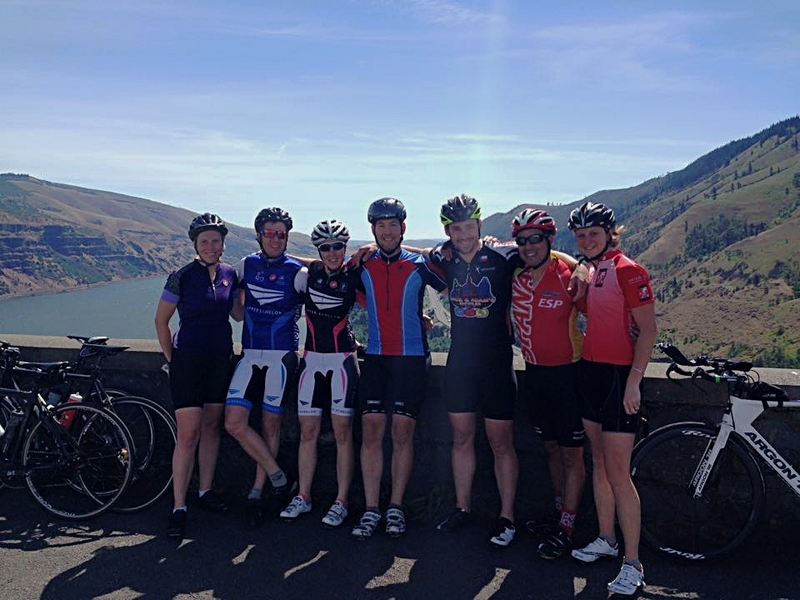 We'll be tackling some of Hood River's and Mosier's classic rides and runs. We'll hit the iconic "Lost Lake Loop" on one day and "Seven Mile Hill" on another. We'll also run along the Mosier Tunnels Trail. Each of these efforts will be supported with nutrition and sagged for your convenience. We'll also be swimming at the Hood River Aqautics center, Hood River's premier swimming facility. 8:00 aM - 9:00 AM tEAM BREAKFAST AND fINAL wORDS FROM COACH.